Do organisations still use Position Descriptions? 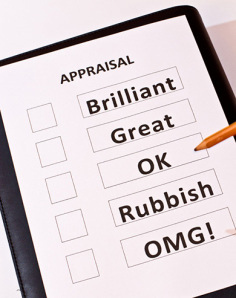 Some years ago it wasn’t uncommon to find organisations where performance reviews were done by evaluating people against the Position Description for their role. In my experience very few are doing this now. I’m specifically referring to the traditional Position Description that provided an overview of the role and some of the inherent responsibilities, but not competencies, behaviours and strategically aligned goals. So why aren’t organisations evaluating people against their Position Description to determine performance? On the surface it would seem to make sense. The Position Description describes the role so why wouldn’t you evaluate a person against it. Surely you can look at the Position Description and more easily understand if a person is meeting expectations or exceeding them. In the last 60 years, much progress has been made in understanding how to make performance and development processes work. New ideas arise from time to time. They are tested and some prove to work, while others fail in the real world. It would seem that evaluating against the Position Description has proved the latter – it produces no benefit to the organisation and potentially does harm. Why is that? If a person isn’t meeting the expectations of their role, leaving the resolution of this problem to formal performance review periods is leaving it too late. Most organisations formally evaluate performance either quarterly, half yearly or annually. Not solving the problem immediately and leaving it to one of these performance periods can potentially do harm to the organisation. Managers need to coach people on a day to day basis if necessary to ensure people meet the minimum requirements of their role. For any given team member, one manager could evaluate them as having met the role requirements, while another might rate them as having exceeded them. It’s too subjective. A better and less subjective approach is to use measurable criteria like behaviours, goals or KPIs. A Position Description describes your role, but it doesn’t tell you what great things the organisation is currently working on and what part you play. But goals do. Setting specific, measurable and actionable goals enables the organisation to align people to the strategic plan. It helps people understand how they contribute and it stretches them. To move forward, individuals and organisations first need to understand where they are now. Reviewing a person against their Position Description tells you very little. Whereas assessing people against a defined set of competencies or behaviours does, particularly if they are role based. It gives the team member very specific criteria they can use to understand expectations and improve if needed. It helps managers understand where to coach team members. And it gives the organisation the ability to analyse its workforce to understand the gaps between required and actual capabilities. Under the old approach where performance is evaluated against the Position Description, it is difficult to demonstrate fairness. For example, if one manager can evaluate someone as having met their requirements and another can rate them as having exceeded them, where is the fairness in the allocation of salary increases? On the other hand, specific, measurable and actionable criteria like behaviours and goals are transparent. It isn’t perfect, but it is a much more fair approach. It also ensures that organisations spend their money (salary increases and bonuses) on the things that produce a benefit. It doesn’t make sense for an organisation to trade money in return for someone exceeding their role requirements if that doesn’t provide a benefit. But it makes a lot of sense to trade money in return for things that help to achieve the strategic plan. This is a huge area of tension for many large organisations in particular. Especially with the challenges in managing, retaining and motivating Gen Ys. The move away from traditional Position Description based performance management is a great tool to keep Gen Ys working hard. As one Gen Y team member told me, this is because this generation does not like hierarchy/seniority based performance management methods. Focussing on goals and behaviours allows the individual to feel more valued for their own ability rather than their position in the hierarchy. https://www.cognology.com.au/wp-content/uploads/2013/12/Position-Descriptions.jpg 90 100 Jon Windust https://www.cognology.com.au/wp-content/uploads/2017/01/Cognology-logo-colour-300x101.png Jon Windust2013-12-02 07:00:072015-03-25 03:28:12Do organisations still use Position Descriptions?